You may already have a Will which complies with the requirements of English law however if you have assets in another country your English Will may not have the results you intend due to conflicts with the laws of that country. Many countries do not recognise the concept of a trust. Therefore if your Will creates a trust over assets in a country that does not recognise trusts, this could inadvertently give rise to a gift to your executors. Some countries operate the marital regime of Community Property whereby on marriage the possessions of the couple are merged in a joint estate and disposed of by means of a joint Will. Other problems may be created because of the different ways in which different countries apply their inheritance laws. You may be considered to be a citizen of one country, habitually resident in another and domiciled in another, with each country seeking to apply its conflicting laws to your Will. The most common issue however is likely to be forced heirship. 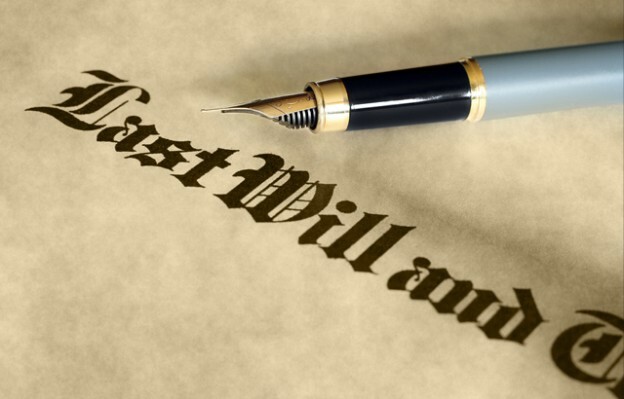 Law in England and Wales provides that a person making a Will has testamentary freedom to leave their assets to whomever they wish. Many other countries however have some form of forced heirship laws which require a person to pass a fixed portion of their estate to certain relatives, usually their children or spouse. These rules will apply regardless of what is in their Will. Forced heirship laws do not however always apply to the estate of a foreign person, or at least do not apply to particular assets. In relation to your assets abroad, English law distinguishes between different types of assets. English succession law is applied to your movable assets (i.e. your investments, cash, bank accounts, personal possessions etc.) but allows the succession law of the country where your immovable assets are (i.e. your land and property) to be applied. Scotland: Even as close to home as Scotland forced heirship may present an issue. Scotland has forced heirship provisions called Legal Rights. However, provided you are not domiciled in Scotland when you die, your English Will should be able to deal with your assets in Scotland. France: France has the most strict and powerful forced heirship provisions. These can require certain percentages of the deceased’s estate to pass to children in preference to the surviving spouse. Movable estate in France can pass in accordance with your English will, however your French property and land may not. Spain: Spanish nationals are required to leave certain portions of their estate to their children and certain other relatives. Spanish inheritance law does allow citizens of England and Wales the freedom to leave all their estate to whoever they like. Switzerland: Although there are forced heirship requirements for Swiss nationals, if your English Will contains wording specifically applying the succession law of England and Wales, then your English Will could be effective in dealing with your Swiss estate. Brazil: In Brazil, children and the surviving spouse are automatically entitled to 50% of the deceased’s estate. If there were no children in the marriage, then parents or grandparents would also be able to claim a share of the estate. If you are domiciled in England and Wales, succession of assets situated in Brazil will be governed by English law unless this is less favourable to the spouse and any children, in which case Brazilian law will apply. Louisiana: The only state in the USA which has a forced heirship regime. Here the forced share may be claimed by forced heirs that are 24 years of age or younger. The fixed share is at least 50% of the estate of the deceased. Any property of a person domiciled in England and Wales which is located in Louisiana can however pass in accordance a Will made in England and Wales once probate has been received. Various conflicts and complexities can arise from cross-border estates. There may also be tax implications for example where your spouse is not able to inherit the assets located abroad making the any spouse exemption to inheritance tax unavailable. It is generally recommended that an additional Will should be made in relation to foreign assets as this can help to eliminate ambiguities and make it cheaper and quicker to administer the estate. However, if you intend to rely on an English Will to deal with foreign assets, care must also be taken to ensure that the wording does not preclude this. Any foreign Will should be carefully drafted to ensure that it does not conflict with or revoke your English Will. Clearly legal advice needs to be taken from a lawyer who specialises in the succession law of the country in which your assets are held. It is recommended that this advice is taken not only when considering making a Will but before you purchase property abroad. Contact Worldwide Lawyers for legal assistance with Wills, Probate and estate administration abroad.